Steve is the kind of person who can see the forest from the trees. And not just because he’s a great strategist and big-picture thinker. Steve can literally see the forest from the trees as he backpacks through the Sierra Nevada in search of even more adventure. It’s a befitting phrase for a man who dreamed of becoming a forest ranger. But the famous OJ Simpson civil trial, where the Goldman family successfully pursued justice for the death of their son, shaped Steve’s experience leading him down a different path. MSK had taken on this historically significant case in pursuit of justice for the Goldman family. 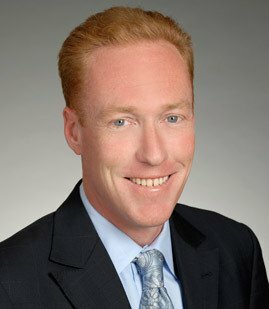 While the firm knew it was embarking on a two year journey that would solidify its reputation as a premier trial firm, Steve was an unsuspecting player in the landscape. Nicknamed by MSK's trial team as the Lethal Paralegal, Steve's career focus shifted after participating in this historic victory from inside the courtroom. Steve’s fingerprints were all over the Simpson case. Most importantly, he learned under the tutelage of some of the nation's greatest trial lawyers. Steve has a natural talent for litigating, and is known for fearlessly and tenaciously attacking each case he litigates as if it were the next "trial of the century." Complex civil litigation and general civil litigation with an emphasis on contract disputes, business torts, real estate and construction disputes, and professional liability. Completely defensed claims of fraud, breach of contract, breach of fiduciary duty, conversion, and unfair business competition in two week arbitration where the clients’ exposure exceeded $14 million in claims that arose out of a residential remodeling project. Prevailed on demurrer to claims for quiet title and slander of title to property located in Beverly Hills that was purchased at a Sheriff’s sale. Also obtained summary judgment in a related case. Both rulings were upheld on appeal. Represented prominent country club in connection with significant claims by and against contractors, subcontractors, and design professionals. Represented prominent nonprofit performing arts center in connection with claims arising out of the construction of a first class performing arts and cultural facility for the presentation of theater, dance, music and the education of children in arts and theater. Obtained judgment in favor of client accused of converting $5 million after court trial. Represented a major insurance company in multi-district litigation involving financial fraud and the enforceability of policies purporting to insure payments under leases. The insurer sought rescission of policies and related agreements. These cases involved claims totaling over $400 million, with our client’s potential exposure at over $100 million. Acted as private counsel for owners of nightclub in a multi-million dollar premises liability suit being defended by appointed defense counsel and with policy limits of $300,000. After denying insureds’ Cumis counsel, carrier finally acknowledged insureds’ “superior right” to control defense, paid all attorneys’ fees and costs incurred by clients over the course of our 3 year involvement, and paid $2.4 million to resolve the third party claim. Currently attempting to informally resolve the insureds’ claim for bad faith. Successfully represented owner of high-end automobile with lemon law claim against manufacturer, recovering approximately 85% of purchase price plus taxes and license fees after 5 years of ownership and approximately 70,000 miles of use. Represented Board Member in dispute with complex insurance issues involving errors and omissions policy and directors and officers policy. Assisted with representation of prominent life insurance company in two "vanishing premium" cases, obtaining summary judgment and a dismissal after demurrer which was upheld on appeal. Member of litigation team representing one of the world's leading insurance providers in an action to rescind over $100 million in fraudulently induced policies. Represented insureds and third party claimants in complex coverage disputes. Represented large California law firm in defending claims of legal malpractice and ethical violations.